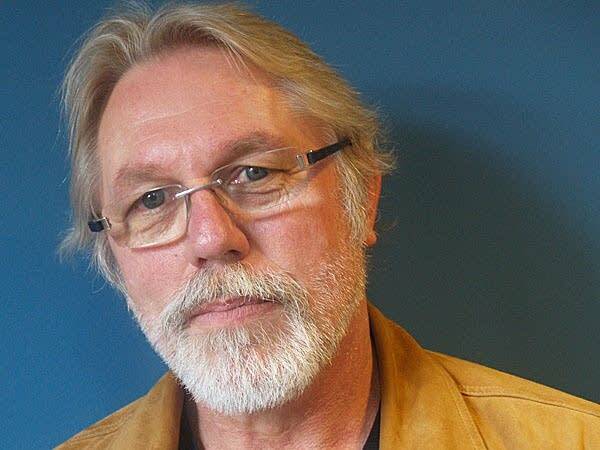 For more than 20 years Bemidji writer Kent Nerburn has walked a fine line. He's tried to respectfully explore Native American culture as a white author. His books "Neither Wolf nor Dog" and "Wolf at Twilight," tell of his complex relationship with a Lakota elder named Dan. He's now completed the trilogy with "The Girl Who Sang to the Buffalo" which delves into Native spirituality. Nerburn is a bear of a man. He considers his words carefully, which makes what he says about his latest book surprising. "It scared the hell out of me to write this book," he said. Nerburn says it was also the most difficult of the trilogy to write. "In my own way, with such talents or such spiritual capabilities as I had, I prayed for guidance on this." As in the others in the series the new book tells of a road trip Nerburn takes with his friend Dan. Dan is a real person, a Lakota elder approaching the end of his life. Like all the characters in Nerburn's trilogy, though, Dan is not his real name. Nerburn has renamed everyone except himself. Dan is surrounded by a group of very protective friends and relatives. They regularly warn off Nerburn if they think he is getting too close, telling him he has no place in the native community. However, for reasons Nerburn doesn't understand, Dan keeps pulling him back. The man needs to resolve some questions before he dies -- most importantly, what happened to his sister. She was taken to a boarding school and never returned. Dan wants Nerburn's help to find out what happened. In the first half of the 20th century the U.S. government placed thousands of native children in such schools. They were often far from their homes and families, and the experience scarred entire generations. In the new book, Nerburn writes about a place that may have been worse. "It was grounded in an experience I had when I was traveling in South Dakota, and came across a place with the inconceivable name of 'The Hiawatha Asylum for Insane Indians,'" Nerburn said. The asylum operated until the 1930s. It's long been demolished, but there's still a graveyard on the site, which now lies in the middle of a golf course. "There were, until recently, people hitting 9 irons off people's graves," he said. "A kind of tragic little monument, and it haunted me." Nerburn discovers this is where Dan's sister may have been sent, and they set out to learn more. It's a physical trek across miles of Midwestern prairie. Nerburn struggles to understand the cultural and spiritual symbolism which confronts him. 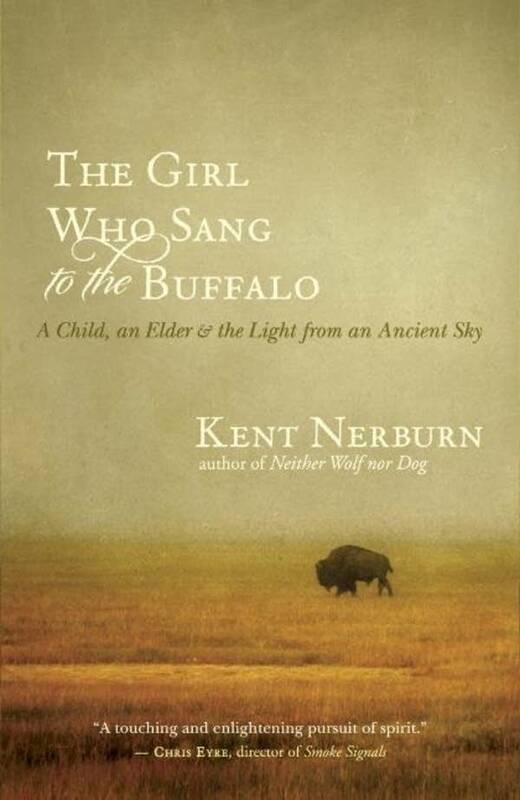 Nerburn says "The Girl Who Sang to the Buffalo" grew out of his experiences gathering oral histories on the Red Lake reservation, and his encounters with native people across the Great Plains. His objective was to walk non-native people up to the edge of native spirituality. "What I had seen was people with a real spiritual connection, real spiritual power, but what they had was something that we, as the dominant culture, don't have a right to address," he said. "And I wanted to stop the people who had been reading my books and thought it would take them into being native,"
Kent Nerburn says combining experiences and changing character names, has left him wrestling with what to call what he's produced. "Now they are all absolutely accurate stories," he said. "They are as close as I can get to oral histories in terms of the concept, but they are put into an invented narrative. So what have I get there? Have I got fiction? Have I got non-fiction? It's very hard to say." However, he believes what he is writing contains the truth. "The Girl Who Sang to the Buffalo" was nominated for a Minnesota Book Award. For Nerburn though, the most important audience is the native community. "I actually have not had any bad responses to this book, and that's rare," he said. "So either I did something very right, or I did something very wrong, and it remains to be seen." What Nerburn does know is this will be the last book in this series. He believes it's the best, but finishing leaves him with mixed feelings. "Empty. Fulfilled. How's that for a combination?" he laughs, and then he pauses before saying, "It makes me feel honest."